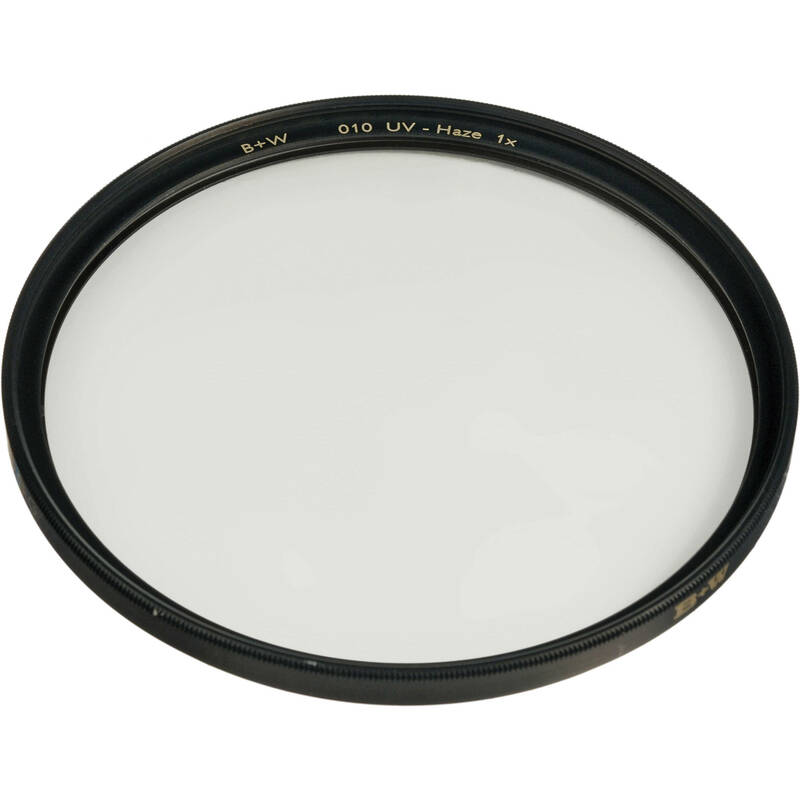 The B+W 86mm UV Haze SC 010 Filter is a general use, clear filter designed to absorb ultraviolet light and reduce the bluish cast of daylight. Aside from the reduction of unwanted blue casts, no additional coloration or contrast is created, and adjustments to exposure are not required while using this filter. To prevent internal ghosting and reflections while providing over 98% light transmission, each glass surface includes one layer of anti-reflection coating. Box Dimensions (LxWxH) 4.6 x 4.6 x 0.8"
86mm UV Haze SC 010 Filter is rated 4.8 out of 5 by 14. Rated 4 out of 5 by Channel Surfer from Yes its just a filter but When you buy a filter this big, its nice to know you're getting a quality item. As soon as I took this filter out of its packaging, I was struck by how solid and substantial it felt. When I held the filter up and looked through it with my naked eye, I could see the change it would bring to my images. Rated 5 out of 5 by Andykins from Super quality filter. I needed a UV filter to go with my HD PENTAX D FA 150-450mm f/4.5-5.6 DC AW Lens and couldn't have chosen better than this one. Feels weighty and doesn't affect image quality at all. Highly recommended. Rated 4 out of 5 by Anonymous from great filter for less I paid 1/3 of the price the local camera store wanted and then they would have to order it. I got the filter in a couple of days from B&H and it is great. A high quality filter in this unusual size. Rated 5 out of 5 by Anonymous from Works great! I wanted a lense to protect my Kowa spotting scope. This one is perfect and sharpens things up. Just what the doctor ordered. Rated 5 out of 5 by Anonymous from UV filter I feel so much safer now with this filter on this lens. It is very clear and doesnt interfere with the clarity at all. Rated 5 out of 5 by Melo Q. from Good Filters as Always from B+W It's a perfect match on my Sigma 150-500 lens. No dark corner or color difference at all. Rated 4 out of 5 by Anonymous from Great Choice! Add's sharpness and snap to my photo's! While protecting the lense! Love it!